Last week our office suddenly became surrounded on all sides by boats which have been lifted out for the winter. There’s certainly something comforting about seeing them tucked up ashore. If your weekends on the water have come to an end, it’s the perfect time to book a couple of days away to discover the latest models being launched by the shipyards. And if you are considering a new boat for spring, it is very possible to make this dream a reality if you place an order in the coming weeks. Key Yachting will be attending the following boat shows. Please reply to this email to make your appointment with us. Who wouldn’t love a weekend in Paris at Christmas time? You could be shopping in the capital’s boutiques on Saturday, and shopping for yachts on Sunday, interspersed with sightseeing and of course, fine dining. The show runs from 8th – 16th December. Tofinou will exhibit the 8m and 10C models, from their exquisite range of classic daysailors. In the Nautitech Catamarans booth, find out the latest developments from the shipyard. And finally, it is anticipated that the hot new J/99 will make her show debut. The world’s biggest boat show is a buyer’s dream, with over 1,000 yachts on display. All four of our brands will be in attendance, from 19th – 27th January. Grand Soleil will exhibit the stunning Grand Soleil 48 Performance, pictured below. The J/99 will have her official press and public debut, so if you have been watching this boat with interest and can’t make it to Paris, this is the show for you! She will be joined on the J Boats stand by the J/112E and J/70. Tofinou will display the 8m and 10C. 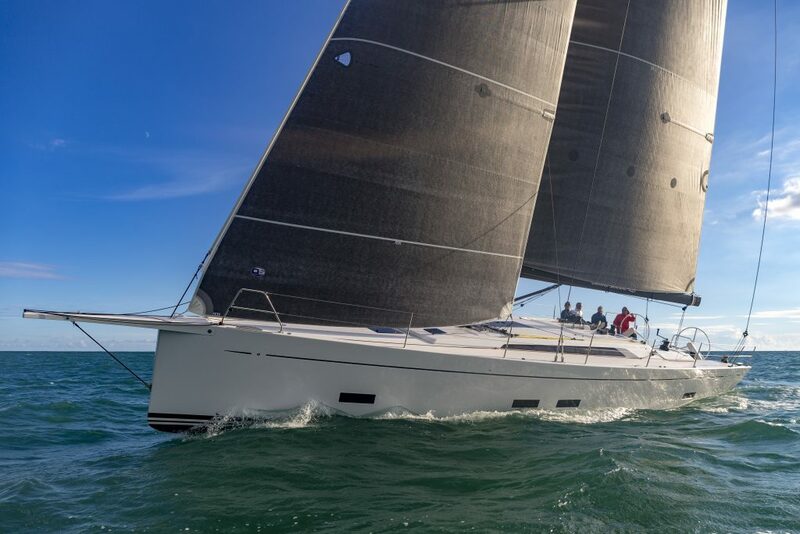 And finally, Nautitech will have the hugely successful Open 40. The biggest catamaran show of the year, Nautitech will have a selection of models in the water at La Grande-Motte. Put the dates in your diary now; 24-28 April. Don’t forget, the sailing doesn’t stop at Key Yachting! We are open for trial sails throughout the winter, with examples from all of our brands in the water and ready to go. Contact us for more information on your dream yacht.